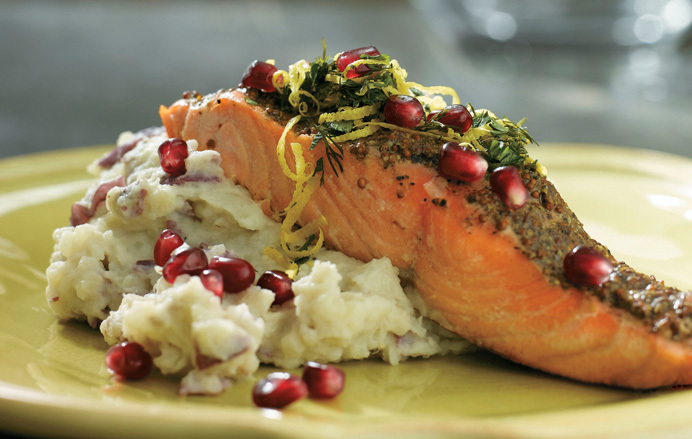 Pomegranate Broiled Salmon with Garlic Mashed Potatoes. This is one of my favorite holiday recipes. It looks incredibly festive, tastes delicious and is super healthy! Everyone loves this recipe - even picky eaters. This is my go-to dish for Christmas Eve. If you want to be extra health conscious, swap the garlic mashed potatoes for brown rice. This recipe isn't one of mine, so here's the link. Enjoy!